Comminution '18 was the 11th in the series of MEI's International Comminution conferences, and was held at the Vineyard Hotel, Cape Town, from April 16-19, 2018. As always I hope that my report will be supplemented by comments from all who attended, and those who could not make it. I opened the conference this morning, welcoming the 199 delegates from 24 countries, and thanking all our sponsors for their valued support. Five months ago at Flotation '17 I highlighted the crucial importance of flotation, not only to the mining industry, but to modern society. Flotation could not operate, however, without effective comminution, which has had to evolve rapidly with the need to grind ores finer, and to do so with the minimum expenditure of energy. Worldwide the mining industry consumes around 2% of all electrical energy, and comminution is the major consumer, so great efforts are now made to reduce energy consumption, as well as water consumption, which is also critical. In the mid-19th century mineral processing was a fairly simple operation. Ores were high grade and easy to treat; any upgrading could be carried out by hand sorting or simple gravity techniques, the only methods which were effectively available. Comminution was a fairly crude operation undertaken in steam driven stamp mills. By the end of the 19th century, things had changed, however. The widespread use of the new invention, electricity, led to a soaring demand for metals, particularly copper, and the high grade deposits, mainly in Cornwall, soon became worked out. Attention turned to the vast low grade copper deposits found in Australia and the Americas, which were made viable by the discovery of flotation in the early 20th century. Replacement of the inefficient stamp mills by the more controllable innovation, the tumbling mill, led to the typical milling-flotation circuits which dominated mineral processing throughout most of last century. The long rows of parallel ball mills in closed circuit with classifiers, a familiar sight in the 1970s would have been familiar to anyone who worked on a mine in the 1930s. The development of computers in the 1980s had a profound effect on mineral processing operations. As well as being used to simulate processes, the increasingly powerful computers were used to control operations, contributing to the design and development of much bigger unit processes, to minimise the amount of instrumentation needed. Mills became bigger and bigger, such that the ore itself could to some extent replace steel grinding media, and this led to the increasing use of autogenous and semi-autogenous mills, the latter now dominating high throughput grinding operations. Four years ago, at Comminution '14, Tim Napier-Munn said that in terms of the future of comminution "we really have to get rid of tumbling mills". Four years on, there is no mention of rod mills in the programme- are these now finally obsolete? Ball mills would have dominated comminution conferences little over a decade ago, but they are mentioned only 5 times in the programme. SAG mills are of major importance, but in his keynote lecture tomorrow, Holger Lieberwirth will ask whether SAG mills will still be relevant in 50 years’ time. Maybe they will be replaced by circuits containing only High Pressure Grinding Mills, which are crushing ever finer, and stirred mills, adopted for untrafine grinding, but whose upper particle size limit is being pushed towards coarser sizes. This week's programme highlights that there are many new ideas out there, new crusher developments, HPGRs, fine grinding devices and circuits, all offering new approaches and much hope for the future. Following the opening I had the great pleasure of presenting the 2017 MEI Young Person's Award to Dr. Grant Ballantyne of Australia's JKMRC (posting of April 16th). Energy efficient comminution has become Grant’s major research theme, focussed on industry applications supported by fundamental theoretical understanding, and he is an active member of the Global Comminution Collaborative which includes members from Brazil, South Africa, Germany, Turkey, Sweden and Australia, all well represented at the conference. 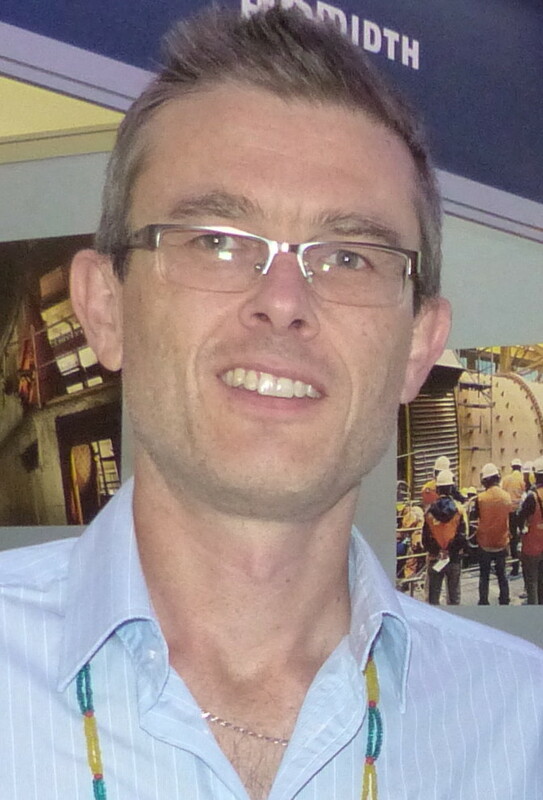 Grant has played the principal role in the development of the internationally-supported comminution energy curve tool which is hosted on the CEEC International website, and is widely used by industry for energy benchmarking and the optimisation of comminution circuits. So it was appropriate that the first presentation was delivered by Grant, who explained that the trade-off decisions of companies are not typically based purely on reducing energy consumption, but reducing costs, and for this reason, a specific energy cost curve has been added to the suite of comminution energy curves. Actual electricity prices vary by an order of magnitude both locally, nationally and internationally, and Grant's paper showcased the effectiveness of including the electricity price variability in the energy curves by displaying the results from a specific design case study. Following Grant's presentation, Daniel Wilkie, of the University of Pretoria, South Africa, presented work on the simulation of a basic SAG mill operation and asked the question, which uncertainties do we need to model in simulation based comminution to perform statistical learning? As minerals frequently appear in complex associations in nature, liberation, achieved through comminution, is one of the most relevant aspects in ore processing. The global efficiency of a plant often depends on the performance of the grinding circuit, so there is a compromise between particle size, energy consumption and liberation. 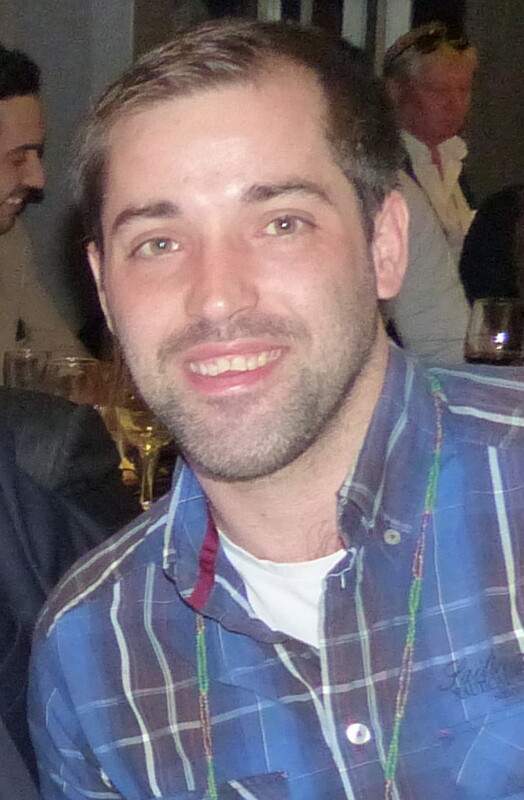 An adequate prediction of the liberation of grinding products can be helpful in reducing overgrinding, and therefore, reducing energy consumption without disturbing downstream operations and Edgar Pérez, of Laval University, Canada, addressed the development and validation of a mineral liberation model which is intended to be integrated in a simulation framework for comminution processes. Taking us up to the coffee break, Okay Altun, of Hacettepe University, Turkey, discussed the effects of bed dimensions on assessing the breakage characteristics of fine particles using the commonly used drop weight test. The long coffee break gave everyone the chance to view the 15 posters on display and to wander around the exhibition area (YouTube video). Numerical modelling techniques such as the Discrete Element Method (DEM) are now well established and Temitope Oladele, of the University of Cape Town, presented work using DEM to investigate the factors that greatly influence the propagation of stress and likelihood of breakage in particles under impact loading. This work was in collaboration with Australia's JKMRC, and the next three papers were from researchers from the JKMRC. Malcolm Powell is one of the world leaders in comminution research and always has something innovative and provocative to say. Unfortunately, however, he had to withdraw from the conference at the last minute due to family reasons. We thank his colleague, Mohsen Yahyaei, of the JKMRC, Australia, for standing in for him, and showing that it is high time to dramatically upgrade the historic empirical mill models that are based on back-fitted breakage rates, to mechanistic models of the milling process. The most significant drawback of the empirical models is not just accuracy, but that they by definition lock our operating effectiveness at 50-year old inefficiencies, when the mining industry is driven by a need to dramatically improve production efficiencies. The mining industry has, like all aspects of our lives, been transformed by computerisation, yet the mineral processing modelling utilises simplified population balance equations designed to run on the basic computers of the 1980s. Mohsen said that we should be embracing the computational power available to us and the progress in understanding of milling systems to rewrite the models so as to make them predictive and reliable with respect to the range of conditions encountered in mills. Malcolm Powell and his co-workers and collaborators have been working on the sub-components of the comminution processes, allowing the uptake of more fundamental understanding of fracture and liberation, such as developed by the German schools of comminution in the 1980’s. In his paper "Quantifying variability of ore breakage by impact" Farhad Faramarzi of the JKMRC noted that the standard JK drop weight breakage test assumes that all of the particles in a single size fraction are the same mass and will receive the same amount of specific energy. He described a significant step forward in obtaining detailed information about the variability within an ore type, and implications for a SAG milling were considered. To maximise production capacity, the minerals industry has been investigating practices such as selective blasting/grinding, pre-concentration, pre-weakening and design of circuits that can be actively controlled to respond to variable feed characteristics. A multicomponent modelling and simulation engine is required to confidently simulate and quantify the benefits of circuits in which these processing strategies are applied. Bianca Foggiatto, of the JKMRC, and Ausenco Ltd, presented three multi-component modelling and simulation approaches to exploit multi-component characteristics of ores and quantify the performance of various flowsheets that treat mixtures of minerals or processing streams with different competencies, and ores with preferential deportment of high-grade material after crushing and grinding stages. These simulations can be used advantageously to improve circuit performance and can help in absorbing process instabilities caused by ore variability. Mineral processing is an industry which consisting of products and dynamic processes which integrate different disciplines. In the final paper of the morning Kanishk Bhadani, of Chalmers University of Technology, Sweden, described research to establish knowledge in the application of multi-disciplinary optimization (MDO) architectures into mineral processing simulation, particularly within sub-processes of comminution and classification circuit producing aggregate products. Kanishk showed that application of MDO architecture can facilitate in linking the models from different disciplines (e.g., dry and wet processes) in mineral processing simulation. Magnus Evertsson, of Chalmers University of Technology, Sweden, is a familiar face at the comminution series, and is a leading figure in the Global Comminution Collaborative. Following the lunch break he analysed the dynamic process characteristics in concentration plants and presented an option to replace steady state simulators for design and evaluation purposes with a more robust dynamic approach. Michael Klichowicz, TU Bergakademie Freiberg, Germany, discussed how simulating comminution processes is one of the most complex tasks in mineral processing research and the Discrete Element Method seems to be a promising approach. However, the actual crushing processes at grain size level are comparatively challenging to model but essential to other parameters like mineral liberation. Simulations at this scale have to be validated properly, and he showed how high-speed videos of crack propagation in granite have been used to validate DEM simulations. Gouging abrasion occurs in many processes in comminution where large and hard abrasives such as rocks/ores are handled with high contact or impact stresses. In the past decade or so, the National Research Council, Canada, has systematically investigated the gouging abrasion performance of a wide range of materials, and Yongsong Xie, of NRC, summarised the main test results and the key properties/characteristics that are conducive to enhancing the gouging abrasion resistance of materials. Mining is energy intensive, and grinding is responsible for consuming about 40% of the energy in the whole mining chain. Inefficiency in grinding has long been an outstanding problem, in particular when production of fines and ultra-fines are considered. Unlike milling, crushers are much more energy efficient, therefore it is logical to push the comminution process towards the crushing stage for energy efficiency. Furthermore, crushing is done dry which reduces water consumption and related potential water contamination. Hamid Manouchehri showed how Sandvik SRP AB, Sweden, believe that finer crushing could be achieved through design of new crushing chambers, introducing more energy and higher rotation speeds in crushing chamber, etc. He presented results on the fine crushing performance of Sandvik’s conventional cone crusher and the Vertical Shaft Impactor (VSI) at pilot scale. Following the break, Gregor Borg, of PMS GmbH & Martin Luther University Halle-Wittenberg, Germany, discussed developments in the VeRo Liberator®, which was invented some five years ago and applies a completely new, mechanical comminution principle, which is high-velocity and high-frequency impact comminution. This improved breakage behaviour results in a drastically reduced energy consumption of between 3 and 13 kWh/t, very high degrees of particle liberation, and particle size reduction ratios of up to 6.250 in single pass comminution. Positive side effects of the technique are the embrittlement of ductile (metal) particles, very low noise levels, and a drying effect for moist or wet feed material, allowing for subsequent dry sieving. Gregor claimed that the VeRo Liberator® can either replace several conventional comminution steps or can reduce the application of less (energy) efficient techniques to a minimum. The VeRo Liberator® has achieved market entry in 2017 with an order by Anglo American plc for pilot scale testing at a mine site. Comminution machines normally operate at non-optimal conditions; cone crushers have a crushing chamber that revolves around its centre axis and crushing does not occur all at once but in a circular motion. This property gives rise to potential non-optimal crushing in the form of power draw fluctuations due to the variance in feed across the crushing chamber with respect to mass flow, particle size distribution and other material properties. Albin Gröndahl, of Chalmers University of Technology, Sweden, showed how changes in the operation of the crusher, due to differences in feed material properties such as segregation, can be diagnosed and determined for comminution process improvements. In the final paper of the day, Paul Cleary, of CSIRO Data 61, Australia, compared predictions of particle flow and compression breakage of non-round rock in an industrial scale cone crusher against experimental data. Fracture of the particles due to the high compressive load on the particles within the breakage zone of the crusher were included in a DEM model, which was able to predict the production of both coarser progeny which are resolved in the DEM model and finer progeny which are not. This allows the prediction of product down to small sizes, limited only by the fineness of the fragments measured in the breakage characterisation. After a long day it was good to relax and enjoy a few drinks on a very balmy evening in the Vineyard gardens for the first of our late afternoon sundowners (more on Day 1). Setting the scene for today's presentations on high-pressure grinding mills, and autogenous and semi-autogenous mills, Holger Lieberwirth, of TU Bergakademie Freiberg, Germany, asked the provocative question in his keynote lecture "will SAG mills still be relevant in 50 years’ time?" It is very likely that they will, but Holger looked at other innovative methods which would also be important. As Hakan Benzer, of Hacettepe University, Turkey, explained, novel energy efficient comminution circuit flowsheets incorporating energy efficient dry comminution technologies such as HPGR, Vertimill etc. have the potential to result in significant energy savings. However, these circuits should be designed in such a way that they will both minimize total energy consumption and at the same time produce the desired particle size distribution. This requires accurate process models for predicting the performance of these technologies in terms of throughput, power consumption and product size distribution under various operating conditions. Hakan presented results of a simulation study aimed at testing the success of a previously published new approach for modeling of the HPGR, capable of predicting product size distribution, from the data from extensive pilot scale HPGR tests covering a wide range of operating conditions. The results conclude that the existing model structure proved to be a success with the validation studies. 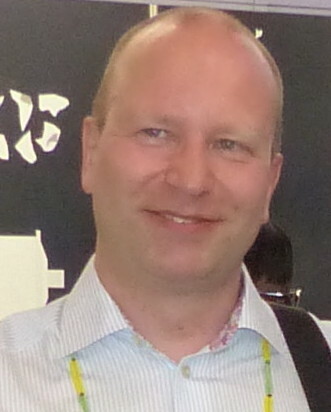 Marcus Johansson, of Chalmers University of Technology, Sweden, argued that traditional models of the HPGR crusher rely heavily on survey data to make accurate predictions. He introduced an approach to modeling of the HPGR crusher from a mechanistic point of view. HPGR operational experiences have shown that the rollers do not wear at the same rate, according to Marcelo Perrucci, of ABB Switzerland. This differential wear rate over time leads to differences in the tangential speeds of the rollers, causing an uneven gap between them in relation to the material. This results in less effective grinding and, since the wear rate is not equal, their life-time cannot be equally utilized. Marcelo proposed a dynamic load share control with the use of ABB’s variable speed drive system, which allows the HPGR operator to impact the roller wear in such a way that it equalizes the wear rate to a certain extent and extends the roller life time. Paul Cleary, of CSIRO, explained that the pressure distribution between the rolls in a HPGR can vary significantly in the axial direction due to the end effects at the end of the rolls. Typically particles near the ends of the rolls are less well confined which provides these particles with higher mobility and reduced ability to be trapped and crushed. This can reduce the performance efficiency of a HPGR quite significantly. Experimental measurement of this axial pressure distribution and its consequences for the breakage efficiency, particularly at industrial scale, is very difficult and so little is known about its nature or how this may change with choice of confining structures (such as cheek plates) at the ends of the rolls. Paul showed that this problem is tractable using DEM to predict the coupled flow and breakage of particles within the HPGR. SAG milling then dominated much of the rest of the day, beginning with Haijie Li, of FLSmidth, Denmark, discussing the optimization of the SAG mill-pebble crusher circuit by controlling crusher operational parameters. In order to deal with the critical size particles in semi-autogenous (SAG) or autogenous mills, a SAG circuit generally contains a pebble (cone) crusher. It is often the case that the pebbles crusher is oversized, and thus not fully utilized. The hypothesis put forward was that active control of the cone crusher’s speed and closed side setting (CSS) can increase throughput and/or energy efficiency, of the SAG circuit, and to verify this a dynamic model of a SAG-mill was implemented. The Newmont Ahafo operation in Ghana has operated since 2006. Ahafo operates a 54 x 75 in gyratory crusher to crush primary ore onto a reclaim stockpile. The feed from the stockpile is fed to an SABC circuit comprising a 10.36 x 5.0 m, 13 MW SAG mill in closed circuit with two MP1000 pebble crushers. SAG milling is followed by a 7.31 x 11.9 m 13 MW ball mill in closed circuit with a cluster of 660 mm cyclones. After classification, the product from the circuit is thickened and pumped as feed to carbon-in-leach tanks. Emmanuel Asakpo, of Newmont, Ghana, explained that in 2013 Ahafo consulted Energy Efficient Milling Solution LLC for preliminary analysis of the Ahafo SAG mill performance and possibilities to improve its energy and productivity by efficient material transport using Outotec’s TPL technology. DEM was used to model the flow behaviour of slurry in both pulp lifter designs to show the improvements in both pumping efficiency and wear reduction with the TPL system. A Turbo Pulp Lifter was installed in the Ahafo SAG mill in April 2015, replacing the existing radial pulp lifter. Plant operational data supports the DEM model predictions and showed a power saving of 10% and 5% improvement on Ahafo’s historical throughput models with no loss of grind size. Ausenco’s Ausgrind comminution program has been the in-house design tool used on a number of successful projects and technical studies. In recent years, Ausgrind has been used to benchmark comminution energy efficiency and provide technical guidance to resolve operational issues, resulting in a number of changes to the existing program to improve the accuracy and better reflect actual operating conditions. Rajiv Chandramohan, of Ausenco Services, Australia, presented case studies benchmarking actual plant data against Ausgrind model predictions, validating the calculation improvements. Comparisons of actual and predicted data showed improved response of the program for variable operating conditions. The final paper of the morning was presented by Mark de Geus, of IntelliSense.io, UK, who showed that critical SAG Mill performance variables, the ball and total charge, the liner wear rate, and residence time are not measured in real time. Using existing sensor data, these quantities can be calculated with population balance and statistical modelling approaches to create “virtual sensors” for the interior conditions of the mill where there are no physical sensors. The data is assimilated using an Ensemble Kalman Filter and automatically calibrated using mill inspection reports to ensure that they provide a consistent and correct picture of conditions inside the mill. This approach was tested and validated on a Mine in Chile and these virtual sensors can be used to (1) prolong operations by reducing scheduled liner wear inspections and unnecessary changes, and (2) keep ball charge levels within design ranges to increase p80 consistency. After the lunch break Marko Hilden, of the JKMRC, Australia, presented a new SAG mill power model which recalibrates and extends the well-known Morrell power model for SAG and ball mills. The model estimates the influence of slurry filling, including when the mill is slurry pooling, and predicts a peak power draw between 0.8 and 1.0 void-fill fraction. The differing efficiencies of gearless and various pinion-driven configurations are also contained in the estimate of power losses. The model can be used to optimise mill performance and enable the mill process control to detect and respond quickly to variations in plant feed. CSIRO's Paul Cleary was on the podium for a third time, to show how a coupled DEM+SPH model can be used to predict the motion and breakage of resolved coarser particles within a SAG mill. The fine product from coarse particle fracture can be included in the slurry representation modelled using SPH. This allows, in principle, the prediction of the breakage and transport of coarser material and the transport of the finer material within the grinding and pulp chambers of a SAG mill including discharge performance of the mill. It also allows the effect of the changing solids loading on the slurry rheology to be included. Paul explored the development of an extension of this model that also allows prediction of the grinding of the finer particles in the slurry due to the collisions and shear of the coarser particles (rocks and grinding media). Conference sponsor Starkey & Associates, Canada, is a company well known in SAG mill design. John Starkey discussed how single stage AG/SAG milling has the potential to reduce operating costs and increase profitability significantly when properly designed, installed, operated and maintained. He quantified that change in cost and profitability based on the case study of a major Canadian gold plant currently operating a single stage SAG mill to meet their design tonnage. As discussed by Chris Steyn, of Anglo American Platinum, South Africa, autogenous mills are often cited as inefficient grinding units that account for a major portion of the energy input to a concentrator. The optimization of these mills are often hampered by the non-linear nature in the response of performance variables, power and grind, to independent variables throughput and in-mill viscosity. Numerous successful attempts have been performed to define the characteristics of these non-linear response surfaces, the challenge however, being that most advanced process controllers are only capable of delivering a linear optimization routine within the available resources. Chris presented a guide for setting up an autogenous mill for linear, dynamic optimization with advanced process control. Australia's Russell Mineral Equipment has a very strong presence at the conference, exhibiting and sponsoring, with a delegation of 15 representatives. Peter Rubie presented a paper for the company looking at the past, present and not too distant future of grinding mill relining. Since the adoption of autogenous grinding (AG) mills and semi-autogenous grinding (SAG) mills as the primary ore reducing devices in the comminution circuit, plant shutdown frequency and duration has largely been driven by the liner maintenance requirements of these mills. The past 30 years have seen the introduction of many technologies to reduce relining times and frequencies. Advanced relining systems have been developed, but despite these advances, many of the hazards associated with mill relining remain and reline times still vary considerably between mine sites. A sophisticated discrete event simulation program, designed to analyse the mill relining process, has revealed the dominant influences on reline times of crew performance and of the need for safe access to larger segments of the mill. Peter discussed a new generation of advanced and semi-automated technologies currently being tested that will address these remaining challenges. These technologies remove people from the hazardous environment inside the mill and will allow techniques used in modern advanced manufacturing to provide a near-future step change in mill relining safety and performance. Ending a long and productive day Chris Steyn investigated the potential benefit of an online particle size analyser on the feed to a primary milling circuit. Efficient operation of a milling circuit is vital due to its high-power consumption and influence on the downstream beneficiation process. It is well known that the feed size distribution (FSD) has a significant impact on the performance of a mill. Image processing on the feed material has made it possible to monitor this data in an on-line manner. Several applications have been reported in the literature where the FSD was used as a disturbance variable in an advanced controller. Little has been done however, to determine the contribution of the FSD to the performance of the controller. In order to quantify the benefit of this disturbance variable the controller will be run in a state where the variable alternates between being enabled and disabled. Controller performance will also be assessed by an LQG benchmark that incorporates the effect of a measured disturbance. We ended the day with coffee, before transport awaited to take us to Milnerton, on the Table Bay shore, for the conference dinner at Lagoon Beach (photos on posting of 17th April). Classification in comminution circuits was the subject of the first four papers this morning, the first being a keynote lecture presented by MEI consultant Aubrey Mainza, of the University of Cape Town. He made the case that integrating classification during design is the key to superior comminution performance, and asked why is clear evidence of inefficient circuit performance that is directly attributable to a mismatch of the comminution and classification devices apparently totally ignored? An inefficient classifier can increase the energy consumption of the comminution circuit and in most cases also compromise the quality of the product reporting to downstream processes, leading to losses in recovery of the valuable mineral. Aubrey argued that substantially more effort and resources are expended on testwork for selecting and sizing comminution equipment compared to the accompanying classifying equipment, which is subjected to minimal or sometimes no confirmatory testwork. What solutions have mining research and innovation programs provided in resolving the subtle incompatibility problems between comminution and classification devices? The keynote addressed the problems encountered when common approaches are used in selecting key comminution circuit equipment and Aubrey proposed amendments that should be considered to avoid the known deficiencies. The milling circuit usually comprises two or three stages of size reduction, involving tumbling mills operating in closed circuit with screens and hydrocyclones. 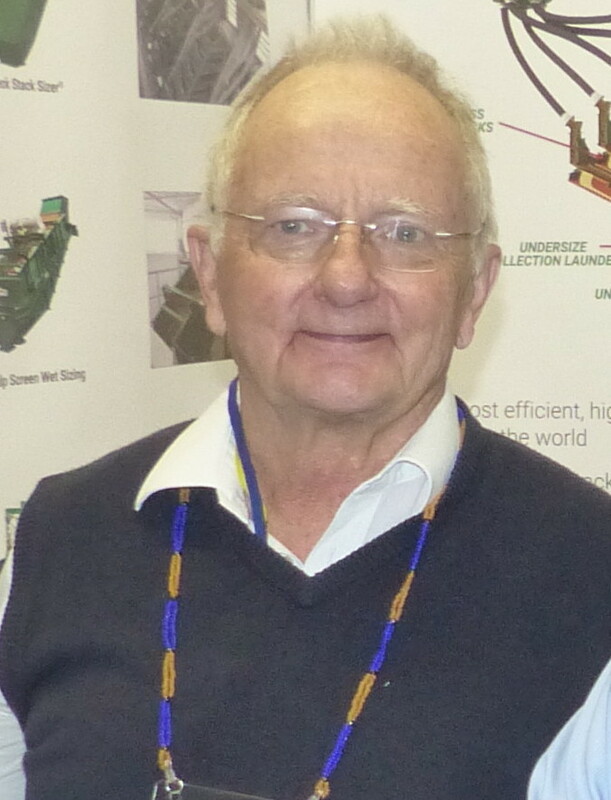 Adrian Hinde, formerly with Mintek, now an independent consultant in South Africa, reviewed past approaches (1970’s to the 1990’s) for reducing energy consumption through the use of dewatering hydrocyclones and by replacing the classifying hydrocyclones with vibrating screens. Unfortunately, most of these attempts failed, following in-plant production trials using the fine screening technology available at the time. However, in the last decade, successful applications of fine screening technology have been reported widely, and computational models developed that accurately predict the performance of dewatering and modern fine screening technology. The results of techno-economic computer simulator studies show that the benefits of including dewatering hydrocyclones and vibrating screens in milling circuits can be substantial and capital and installation costs recouped in a few months. 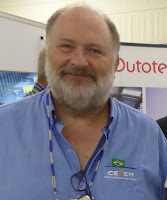 Martyn Hay, of Eurus Mineral Consultants, South Africa, also emphasised that over the past decade there have been a number of success stories where cyclones have been replaced by wet screening resulting in improved grinding efficiency, higher throughput, lower operating work index, better liberation and increased recovery in downstream flotation. He highlighted that inefficiencies in classification efficiency account for the majority of metal loss from the milling/flotation process as well as excessive mill power draw. The standard mill-cyclone closed circuit system generates an appreciable amount of oversize and fines, both of which are poorly recovered in the downstream flotation circuit. Although the cyclone is inexpensive and easy to operate, mill capacity is limited by classification efficiency. A number of case studies covering base metal, gold and iron ore operations were used to generate an initial model to predict the performance of a mill-screen closed circuit system relative to that of a mill-cyclone circuit. Norwegian company Comex has developed an air classification system for processing materials in a very wide particle size range. The system consists of high efficiency dynamic air classifiers working with a static classifier as an integral part of the system. In addition, the dynamic classification system contains multiple processing stages allowing selective classification into several size fractions, during only one material pass, allowing efficient selection of multiple size classes and, simultaneously, separation of materials having different density and shape. The separated fractions, and their combinations, can be used for closed circuit milling operation or can represent a specific product. The system can provide efficient classification in wide size range from ultrafine sizes at 1-2 µm and up to several mm particles. Jacek Kolacz, of Comex, described results from laboratory and industrial applications, to produce different size classes, to upgrade fine ground Fe ore, and to eliminate some particles representing Pb fine powder contaminants. Despite the recognized significance of ground product fineness on both line capacity and downstream process performance (typically flotation), less than 10% of mineral ore concentrators today use real-time particle size measurements in automatic control applications for the final product particle size. Although “near-line” single stream particle size measurement instrumentation has been in place for several decades and is commonly installed in most modern concentrators, its availability and low measurement frequency have typically been inadequate for reliable use in automatic control. Their low availability is often associated with problems with slurry sample collection and handling systems required to present the samples to the size measurement instrument. Joe Felix described recent innovative technology for real-time, on-line particle size measurement of individual cyclones developed by CiDRA Minerals Processing, under its commercial name Particle Size Tracking (PST), already proven in commercial installations, demonstrating near 100% availability with minimal maintenance, thus overcoming the limitations of previous technologies. Power draw is one of the most important design and operating aspects of tumbling mills. During operation, power draw is adjusted by varying charge level, mill speed, water flow rates and the feed size distribution. Aubrey Mainza discussed energy dissipation in various regions of the tumbling mill using data obtained by tracking particles in an experimental tumbling mill using the Positron Emission Particle Tracking (PEPT) camera. A model of compressive and shear power dissipation within a granular system was presented, built upon the principles of inter-particle friction within a dense flow of granular constituents with a strong focus on collisional and turbulent stresses, which are assumed to dominate in the tumbling mill environment. Calculations for the model were done with the concentration of solids, velocity and shear values obtained through PEPT analysis of the experimental system. From the calculated power dissipation distributions derived from experiment, it was shown that available power from shear stresses in the granular flow dominates over that from compressive sources by up to two orders of magnitude. During the coffee break I talked to Martyn Hay, of Eurus Mineral Consultants, and Nic Barkhuysen, of Derrick Solutions International (DSI), South Africa. DSI is the Authorized Distributor for Derrick® screening products for Africa Mining & Industrial industry, and Nic said that replacing the ubiquitous cyclone cluster with Stack Sizer screens creates additional capacity, improved mineral recovery and a simultaneous reduction in power consumption. He said that payback ranges from two to seven months, based on sixteen case studies where before and after audits were performed, replacing cyclones with Stack Sizers. Derrick also provides high level modelling of mill cyclone versus Stack Sizer performance, along with laboratory and pilot plant facilities. At Comminution ’16 Sandile Nkwanyana and Brian Loveday, of University of KwaZulu-Natal, South Africa presented a case for improving grinding efficiency by the addition of pebbles to a ball mill. In the second part of this work, Sandile compared a 25% pebble/ball composite charge to ball-milling, under conditions typical in large SABC circuits. In tests on a silicate ore the product size distribution, particularly the fraction of material passing 75µm, was virtually identical to that of the corresponding ball-milling test. The average saving in power consumption was about 14% and a saving in ball consumption of 25% was achieved. DEM simulations are now being used to analyse energy dissipation in the mill, using various proportions of pebbles. It is hoped that this can be used to explain the improvement in grinding efficiency. Efficient modelling of wet grinding in tumbling mills is a difficult task. Because of the complex behaviour of the pulp, the bottleneck is usually that the method to represent and reproduce its movements is demanding and time consuming. 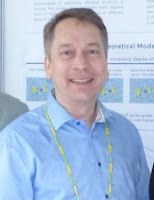 Par Jonsén, of Luleå University of Technology, Sweden, described an investigation aimed at efficiently modelling and simulating the whole mill body including the pulp and the charge, and its simultaneous interactions with both the charge and the mill structure. This was done by the ICFD method, which is a Lagrange based method providing the opportunity to efficiently model the pulp free surface flow, and its interaction with grinding balls and mill structure. Marcelo Tavares, of Universidade Federal do Rio de Janeiro, Brazil discussed the advances and validation of the mechanistic model of batch ball milling which he and his co-author presented at previous conferences. In the previous work an equation was proposed to describe the change in the distribution of particle fracture energies as grinding progressed, called the fracture energy convolution equation. Although the model has already provided a valid description of comminution in ball mills, its ability to quantitatively describe batch milling has been limited by simplifications associated with some of its assumptions. Marcelo presented recent advances in the modeling approach, incorporating improvement in understanding the efficiency of balls nipping particles as well as in the description of surface breakage. The limited availability and representivity of sample material for mineralogical and metallurgical studies is a common problem. Samples are typically composites including mineralogical variation, which hinders the mapping of ore variability. Understanding of the ore variability is essential for the optimization of the production, as information on ore blocks’ hardness, mineralogy and metallurgical response guides the planning and management of mining and processing. Saija Luukkanen, of Oulu Mining School, Finland, presented a new comminution test method, which is fast and requires only a small amount of sample material. The tests were conducted by using an Outotec Mergan and Bond ball mills. Based on the results there is a linear correlation between the Mergan work index and Bond work index. Mergan grinding tests enable prediction of the Bond work index quickly and using only about 3kg of sample. Furthermore, the ground sample material is available for the analysis of the chemical and mineral composition, and for metallurgical testwork. The Bond Ball Mill Work index test, first developed by Fred Bond in 1952, is the industry standard for sizing mills and measures the resistance of an ore to grinding. The Work Index can be used to determine the power required for closed circuit ball milling. The results are achieved by simulating dry grinding in a closed circuit at 250% circulating load until equilibrium is reached, which often requires seven to ten independent locked cycles. There have been multiple attempts to replicate the test with fewer cycles as a means to simplify and produce a more cost effective way of obtaining the work index. Grant Ballantyne described a methodology which has been developed at the JKMRC for determining the Work index based on the original Bond method but using a smaller sample quantity and three cycles instead of seven. The error associated with the new test is comparable, but slightly higher, than the standard Work index test. To date there is no industry-recognized standard laboratory test and associated protocols for the sizing of regrind ball or stirred mill circuits. The Levin approach is sometimes used for regrind ball mills but Steve Morrell, of SMC Testing Pty Ltd, Australia, said that in his experience both the laboratory test and how the results are subsequently used vary from laboratory to laboratory and from metallurgist to metallurgist. In the case of stirred mills each manufacturer uses its own approach making it difficult for metallurgists to carry out reliable, independent checks of the recommended mill size. To rectify this situation CITIC SMCC Process Technology, Australia and CITIC’s comminution laboratory conducted an extensive testwork program to develop a simple yet reliable laboratory test that would be equally suited for sizing regrind ball and stirred mill circuits. In the course of the testwork program the Levin test was extensively studied and, when conducted and applied in the appropriate manner, was found to provide the basis of a methodology that enables the accurate prediction of regrind ball and stirred mill performance. It is believed that the test/methodology could form the basis of an industry-standard for this application. Stirred mills, unheard of in mineral processing a few decades ago, are now increasingly used for ultrafine grinding applications, and the afternoon session papers dealt exclusively with these machines. The stirred mills which are now common in mineral processing are of two types: those that operate at low stirrer speed where gravity plays a role, the Metso Vertimills, and the Eirich TowerMills; and high-speed stirred mills which fluidise the pulp, the Metso Stirred Media Detritor, the Xstrata IsaMills, the FLSmidth VXPs Mill and, since 2012, the Outotec High Intensity Grinding Mill (HIGMill). Arno Kwade, of Technische Universität Braunschweig, Germany, discussed the effect of operating parameters and grinding aids on dry grinding in stirred mill-classifier circuits. The use of dry operated stirred media mills is a promising and emerging option for the energy efficient production of fine particles due to their high stress intensity as well as high stress frequency compared to conventional ball mills. Generally, in dry grinding processes fine powders are not easy to produce and to handle since particle-particle attraction forces become more decisive with decreasing particle size. These forces lead to a variety of challenges, in particular caused by a high state of agglomeration, a decrease of the powder flowability as well as material adherences on the machine and plant equipment. In order to control these forces, so-called liquid grinding aids which reduce the particle-particle forces by adsorbing on the surface of the product particles are often used as stabilizing additives. As the name suggests, these additives are especially known for improving the grinding performance inside the mill. However, there is only very little information available on how far liquid grinding aids affect the process in mill-classifier circuits. Arno examined the application of grinding aids in mill-classifier-circuits with stirred media mills on different levels. The IsaMillTM was specifically developed to address the energy efficiency issues associated with grinding to fine and ultrafine sizes. It has been doing this successfully for more than 20 years in over 120 installations. Recent efforts by Glencore Technology, Australia, to further improve the energy efficiency of the IsaMillTM have resulted in the development of a new IsaMillTM shaft spacer design. The spacer was tested at laboratory, pilot and full scale testing with results indicating that the new design was able to reduce the specific energy consumption by 15-20% in an IsaMillTM M1000 gold application grinding to a P80 of 18 microns. Importantly, the spacers were also shown to improve the top end of the size distribution via the product P95/P80 ratio. Glencore Technology’s Greg Anderson discussed the development process of the new spacers through lab, pilot and full scale trials, operating results and processing implications. The optimization of a grinding process in terms of an increased production rate is a compromise between the energy efficiency, the power draw and a stable operation. Under these considerations, Didier Schons, of Technische Universität Braunschweig, Germany, described the grinding of dolomite as a model material in a lab-scale IsaMill. Applying a stress model helped to find the best conditions for a minimized required specific energy, while in combination with a power model lead to an improved production rate. The test work in the lab-scale IsaMill was then scaled to a pilot-scale IsaMill using advanced models. 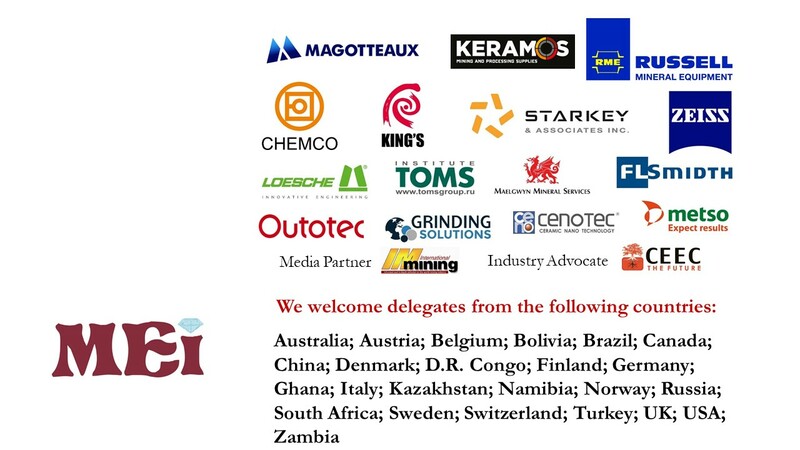 At the request of Kasali Gold Mine in the DR of Congo, one of the largest gold producers in Africa, optimization tests on their fine grinding milling conditions were conducted in a lab-scale fine grinding unit by King’s Ceramics & Chemicals Co, China. 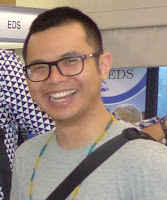 Alex Wang showed how signature plots of energy consumption versus grinding efficiency were generated to compare the milling efficiencies under different grinding conditions. The on-site results show that the optimal milling conditions obtained from lab test can translate into industrial scale production to a large extent and be employed as an important guideline. In a paper co-authored by Emeritus Professor Leonard Austin, of Penn State University, USA, Claudio Schneider, of CETEM, Brazil, analysed grinding data on a pilot scale TowerMill in terms of grinding kinetics. He showed that the data can be fitted with the simple first order breakage model, which is not normally observed in any other type of grinding machines, including tumbling ball mills and rod mills. The model has only two parameters making it possible to determine the parameters using simple search methods. Sam Palaniandy, of Nippon Eirich, Australia, discussed the performance of the tertiary grind TowerMill circuit at the Karara mine concentrator in Australia, which was evaluated via a multicomponent approach to obtain the insights of its breakage and classification. The findings have led to the reconsideration of future TowerMill circuit operation and design, and Sam focused on the multicomponent performance evaluation, alternative circuit operation and future circuit design. The Stirred Media Detritor (SMD), is one of the milling devices used for fine and ultra-fine grinding applications. The SMD has a vertically orientated octagonal shell which supports a vertical shaft that has protruding impeller arms to agitate the charge. Understanding of the motion and physical structure of the charge during operation in these devices has not yet matured, and Conrad Ndimande, of the University of Cape Town, explored the flow and interaction of media and slurry in a commercially available SMDA, using a two-way transient coupled Discrete Element Method (DEM) and Smoothed Particle Hydrodynamics (SPH) model. The DEM component represents the ceramic grinding media which is fully resolved while the SPH model represents the slurry (water and fine material). The paper also explored, through the use of the model, energy utilization, mixing and transport efficiency in the SMD. 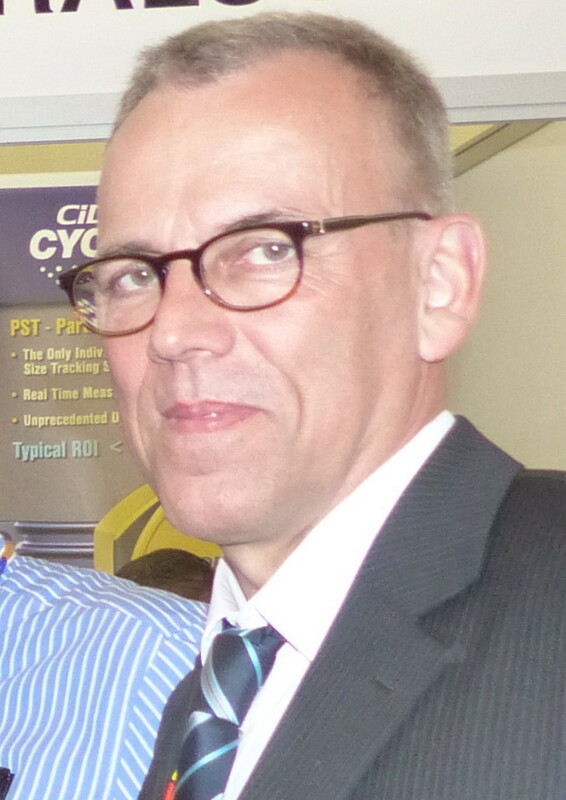 Klaas van der Wielen, of Grinding Solutions Ltd, UK) explained that a stable, well-established vortex is crucial for effective operation of SMDs. Factors such as media loading and tip speed affect mill power draw and consequently product particle size distribution. He described a new technique based on image analysis that measures directly the shape of the vortex and how this is used to define vortex stability. A statistical Design of Experiments was then applied to investigate the effect of media loading, tip speeds and media size on vortex shape, stability and grinding performance, which will enhance understanding of SMD performance at industrial scale and aid in optimisation of performance. It has been a very long and intense day. Also a day of much needed rain, luckily the early evening sundowner being held indoors in the exhibition area (more on Day 3 in the posting of 18th April). Mike Battersby, of Maelgwyn Mineral Services Ltd, UK, described the Ro-Star mill, which has been developed from the theoretical study of high intensity ultra-fine grinding utilising the rotor-stator notion of grinding mechanisms. A proto-type mill was developed to provide proof of concept that the design was functional. To take the progression of the Ro-Star mill to the next step of scale up to industrial size units a collaboration of the inventors, academia and the mining industry was brought together under the umbrella of a European Institute of Innovation and Technology Raw Materials Project, in order to investigate the upscaling of the Ro-Star mill from laboratory and pilot size to an industrial size mill placed at an operating base metal mine. Jimmy Loucas, of Outotec South Africa, described extensive research work around Outotec’s HIGmill grinding rotors, which has shown that flat grinding discs in stirred bead mills in hard-rock applications experience poorer process performance compared to castellated rotors. The improvement in grinding efficiency was first noticed in the full scale operation at Boliden’s Kevitsa Mine in Finland, where the difference was significant. This observation was investigated further through different size pilot scale units, which clearly showed a step change shift in the signature plot, specific grinding energy versus the particle size at 80% passing. These findings where further developed and fine-tuned with DEM. The validated results have allowed the castellated rotor design to be applied as a standard to all HIGmills. The vertical roller mill (VRM) is a comminution device in which crushing, grinding and classification processes are combined together into a single unit operation. These mills have found widespread use in cement grinding operations as well in the grinding of coal for power plants. In these operations the VRM is recognised as being more energy efficient than conventional tumbling mills, and this enhanced energy efficient has led to the testing of the device in different minerals processing contexts. Hakan Benzer, of Hacettepe University, Turkey, discussed two separate studies, in which the VRM was used to grind two different precious metal ores, an epithermal gold deposit hosted in quartz vein from Turkey and the PGM containing Platreef ore from the Bushveld Complex in South Africa. The grinding of these different ores in pilot scale VRMs operated in airswept mode were compared. In both studies the responses of the grinding process and product characteristics to changes in operating parameters were investigated and compared. Ore sorting has undergone a revival in recent times as the mining industry strives to find ways to reject waste to counter falling head grades and become more energy efficient. It is assumed that the metallurgist has considered the ramifications non-sulphide gangue rejection will have on his milling circuit, but what of the flotation circuit, asked Chris Greet, of Magotteaux Australia? If we consider a porphyry copper ore, the removal of a significant portion of the non-sulphide gangue, which is generally the harder species in the feed, will effectively alter the character of the ore feeding the grinding circuit. That is, the feed will comprise a greater proportion of sulphide minerals which will have a finer feed size distribution and are generally softer than their non-sulphide cousins. This means that the operation of the comminution circuit must be adjusted to suit the new feed ore which should require less energy to achieve the same product size distribution. It is also highly likely that the grinding media wear will shift from an abrasive to a more corrosion dominated system. However, in rejecting the non-sulphide gangue it is not only the valuable sulphide minerals that are upgraded. It is highly likely that the iron sulphide species, as well as the penalty elements associated with the sulphide minerals, will also be significantly upgraded. The strategies employed to deal with a significant shift in feed mineralogy will be markedly different to those currently used. Chris discussed what these changes might mean to the flotation metallurgist. While there have been numerous studies on the lifter design power draw, wear and breakage in grinding mills, these studies have been limited in the number of particles simulated or the representation of shape. 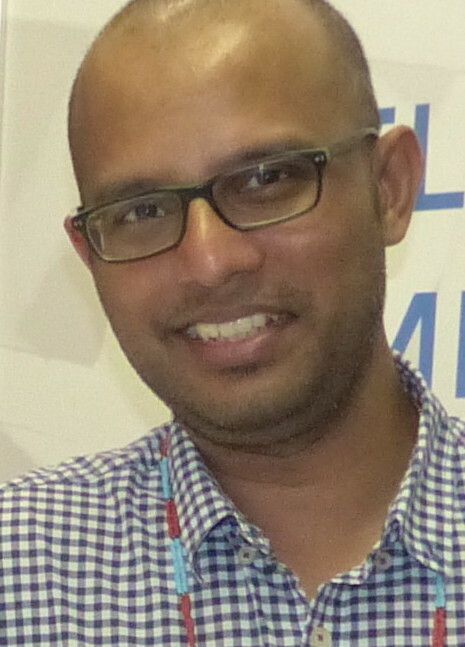 The large computational cost associated with the numerical algorithm limited the scope of previous studies, but in the last few years GPU computing has changed this scenario and large-scale simulations using tens of millions of spheres in mills has been performed for the first time using the Blaze-DEM GPU code, as discussed by Nicolin Govender, of the University of Surrey. Recently the code has been expanded to provide detailed contact detection for polyhedral shape of particles using the volume overlap method which is the most accurate approach amongst commercial and academic codes. Grant Ballantyne, of JKMRC, discussed how the classifier in closed circuit grinding determines the characteristics of the product particles that are permitted to transfer to downstream processing. He highlighted the differences observed at Minera Saucito silver/lead/zinc concentrator in Mexico, when screens or hydrocyclones were employed as the classification device. The major differences observed between the screen and the hydrocyclone was the effect of particle density and the degree of fines recirculation. Hydrocyclones take advantage of hydrodynamic forces to classify the particles based on size and density, whereas screens classify the particles based on size only. The differences in energy efficiency, classification efficiency and the resulting particle liberation properties of the comminution product were presented. The Cullinan Diamond Mine (also known as Premier Mine) was established in 1902 and is renowned as a source of large, high quality gem diamonds. Petra Diamonds acquired part of the mine from De Beers in 2008 and continue with the production of high quality diamonds. In 2015 Petra Diamonds appointed an engineering company to design and construct a modern, fit-for-purpose processing plant at the Cullinan Mine, with a throughput capacity of 6Mtpa. This new plant will replace the old plant at Cullinan Mine, which was originally commissioned in 1947 and has undergone various refurbishments over the years since its initial construction. Benefits of the new plant include increased revenue per tonne, due to increased diamond liberation and improved recoveries of large, high value stones. The comminution circuit consists of two large 9.2m diameter AG mills, combined with pebble crushing by jaw crushers or a large 2.8m HPGR. The circuit allows for large circulation loads and the extraction of diamonds (including very large diamonds) via multiple extraction processes. Commissioning of the plant commenced in 3rd quarter of 2017, with full capacity expected in October 2017. Gerhard van Wyk, of ThyssenKrupp Industrial Solutions, South Africa, gave details of the comminution plant design and highlighted some of the challenges and successes achieved during commissioning of this plant. 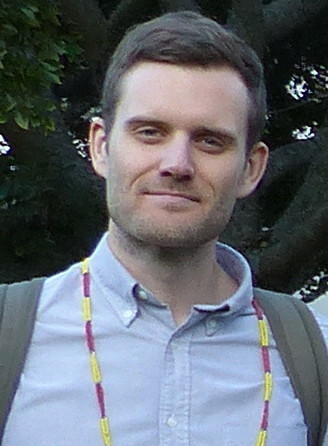 Continuing with the diamond theme, Ryan Bracey, of JKMRC, Australia, described a novel comminution device, the multi-shaft mill, which has been applied in a scoping study of Kimberlite ore to assess the applicability of the mill to the diamond bearing ore type – targeting rock impact velocities below the internal diamond damage velocity threshold. Discrete Element Simulations were run to simulate the breakage environment within the mill at unusually low shaft rotation velocities aimed to prevent or minimise diamond damage. Peak particle velocities were simulated which demonstrated that the mill was able to operate below the diamond breakage threshold velocity whilst being able to generate and maintain a mill hold-up of material, which significantly contributes to preventing the breakage of particles. The ability to predict and tightly control the peak impact velocities is possibly unique to the multi-shaft mill, making it a potentially ideal comminution device in diamond liberation with minimal diamond damage. Comminution is an essential step in processing low-grade iron ores, given the need to liberate silica from the iron minerals for downstream concentration. As discussed by Marcelo Tavares, of COPPE/UFRJ, Brazil, such ores in Brazil are generally not particularly hard to crush and grind, but both capital and operating expenditures in this stage of preparation can be critical, in particular due to the uncertainties in iron ore prices. Several circuits have been designed and are operated using this type of ore and it is not yet clear which technologies and circuit configuration are more cost-effective and sustainable. Autogenous grinding circuits usually comprise tumbling mills operating in closed circuit with classifying screens or hydrocyclones, the unique feature of such circuits being that a portion of the feed serves as grinding media. The performance of these circuits is usually quantified using population balance models involving separate breakage rate and breakage distribution functions. Taking us up to the lunch break Adrian Hinde reviewed the development of a simplified approach to modelling autogenous grinding circuits that invokes the concept of a cumulative breakage rate function to quantify breakage kinetics. He argued that the form of this function must conform to a monotonically increasing function of particle size to ensure that the predicted mass flows in the discharge stream have non-negative values. He discussed the application of the cumulative rates model to the design, control, and optimisation of milling circuits treating South African gold and platinum ores. The final session of the conference consisted of four case studies of comminution circuits in Europe and Africa. Markus Stapelmann, of Loesche GmnH, Germany, stressed that High Pressure Grinding Rolls, or Vertical Roller Mills, installed many thousand times within various industries, have the potential to efficiently replace conventional technology. Since January 2016 EuroChem has been operating a Loesche VRM for pyroxenite phosphate rock in the south of Kazakhstan, producing 80 tph of ground rock with a product size (P90) of 500 µm. To guarantee excellent performance for this relatively hard and abrasive material, a clear focus was put on the selection and the design of the equipment. 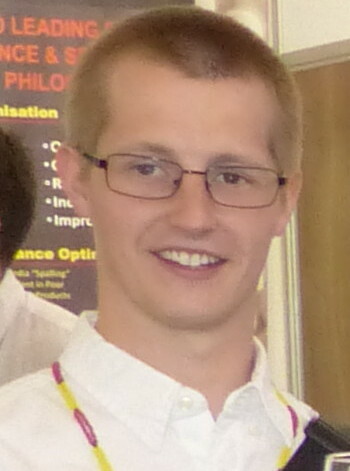 Markus described the factors leading to the selection of a VRM and the measures taken to adapt the mill and periphery. Hakan Benzer then described the first application of a VRM in a sulfide copper-gold ore project in Turkey. Crosby Chongo, of First Quantum Minerals, Zambia then discussed the merit of optimised milling configuration on process performance, with a case study of the mixed ore circuit at Kansanshi. Testwork was performed on the circuit and the data obtained was used to develop models in JKSimMet. The simulator was used to test various scenarios to assess which of the plausible alternatives would lead to optimal performance with respect to throughput and grind. Chris Steyn, of Anglo American Platinum, also talked of the benefits of simulation as a zero risk platform to test potential circuit changes, equipment upgrades and revised control strategies during the scoping and design phases of capital intensive projects. He compared the results of a simulated crushing circuit solution to the site implemented solution at an Anglo American Platinum plant. An integrated dynamic simulator was developed and fine-tuned from 2014 to 2016. The model projected an improvement in overall plant throughput if one of the critical conveyors were upgraded, and an improved control strategy deployed. The recommended changes were implemented in 2017, with operation and fine tuning of several months allowed. Chris compared the predicted performance improvements with the actual improvements observed on the plant to further validate the use of integrated simulators as reliable future tools for circuit design and optimisation. And so a fine conference ended with an equally fine summary by MEI Consultant Aubrey Mainza, which can be viewed on YouTube. Amanda then closed the conference, thanking once again our sponsors, and inviting everyone to convene again in Cape Town in two years' time for Comminution '20, and then we were out in the hotel gardens again for the farewell wine function (more on the final day in the posting of 19th April). The complete set of draft conference papers is available from MEI, and authors have been invited to submit their final papers to Minerals Engineering for peer review and subsequent publication in a virtual special issue of the journal. Thanks for the great report. I look forward to seeing the papers. Thank you for organizing such a wonderful event. Being part of it really contributes our career and hope you will continue to carry the flag for the upcoming events. Such a good summary of the Event. It is heartening to note that there is a shift in the way research is being done--new ideas and a critical look at present practices--I am sure we are going to see major chnges in the units being used, performances analysed thus leading to more efficient and economic operations. Thanks to Barry and the team for yet another successful Comminution conference, the setting is as good as it gets, quality papers and excellent networking opportunities makes this a must attend for academics, leaders and process engineers in the comminution business. Looking forward to 2020's event. I think the Communition' congress once again confirmed the world level in the ore treatment field. Barry very technically and correctly reported about all the articles of the congress. This can be said shortly. 1. New (4-th) theory are needed. (Powell). 2. The most important process in the grinding is SAG -processes). 3. Screening (Derrick) an important role in the classification. Many thanks Spencer. Much appreciated. Sorry you couldn't make it this year, but hope to see you at Comminution '20 if not before (maybe SME in Denver).